Discord provides a chatroom environment for real-time discussions with other UESP editors. You can join with this link. After clicking the link, you will be able to enter a username or log in with your existing Discord account. If you do not have an account, you will be taken to the Account Setup page. Upon joining the UESP Discord server, you may notice a list of channels, denoted with the hash symbol/number sign (#). Click on any channel to view the discussions in that channel. The UESP Discord is set up with a number of emotes, including logos for the main games, ESO's alliances, faces that imitate Vivec, and various others that may be of interest to Elder Scrolls fans. You can view these, along with the emojis Discord supports, by clicking the small face icon on the right side of the edit box. If you know an emote's command (such as :smile: or :Sweetroll:), you can type it in manually; Discord will offer auto-complete suggestions while you do so. Voice channels are provided for non-text discussion. Discord allows you to set up a global hotkey, or use voice activation. Additionally, you can enable an in-game overlay to show other users in a voice channel while you play full-screen games. These options, and many more, can be accessed by clicking the gear icon in your userbox, left of the text input box. While you are logged in, you can "claim" the account at any time by clicking on the Unclaimed Account notification banner at the top of the chat window, or from the User Settings screen. You will then be asked to enter an email address to claim the unique identifier and create an account. Note that even after creating an account, the username you chose can still be used by someone else, but only you will have the unique identifier Username#xxxx. Amicable: Discussions should attempt to strive to maintain a civil and, if possible, friendly tone. All behavioral policies on the wiki are in effect in the channel. Issues where there are major disagreements are better discussed on the wiki (see IRC and UESP). If any participant in a discussion feels uncomfortable with the tone, he/she should suggest that the discussion be moved to the wiki. Rules listed on this page are meant as behavioral guidelines, not as bludgeons. Very minor infractions can be overlooked at the discretion of those present. More problematic infractions should get verbal warnings first, followed by kicking or banning only if prior warnings are ignored. Trusted community members have authority to enforce these guidelines as they see fit, in particular in cases where one channel user is disrupting other users of the channel. Community channels should be kept at a PG-13 level. This means minimal swearing, no explicit sexual content, and no other clearly mature topics. Because mature topics are covered in the games, those can be discussed in the game-specific channels. The server does not support law breaking of any kind. Such behavior will be reported to the network staff, and most likely to your internet service provider. All bots and automated scripts must be approved by an administrator before going live. In particular, an administrator must know exactly what the bot or script is intended to do. Upon entering the channel, view the pinned posts to see if there are any relevant notices. Non-English conversations are not permitted as they are considered disruptive. A couple of lines in a foreign language are fine, but any more than that should be taken elsewhere, whether or not the conversations are related to The Elder Scrolls. If you would like to read about or discuss The Elder Scrolls in other languages, please check out the websites listed here. While it is allowed to post links to external sites, think twice before doing so. Not everyone shares your sense of humor, nor do they deserve nasty images without warning. Therefore, please label your link when posting it in the chat (e.g. kitten / blind kitten /cat / adorable kitten: link). For a complete list, see Server Rules. Various roles are given to trusted community members, and everyone can earn level-based ranks through activity on the server. Note that the following list is by no means exhaustive. Staff are members who have control over channel management. They should be the first port-of-call if any conflicts or disputes should arise. (Although ideally, these won't arise!) There are four staff roles, each with more permissions than the one below it. Bureaucrat: a special role for site owner Daveh (Discord name Reorx) and other wiki bureaucrats. Like the server owner, bureaucrats can add and remove the Administrator role. Administrator: the highest level of staff, who have access to special bot commands like ?purge and can change channel names and permissions. They are trusted members who usually have an Administrator-level community role. Discord Moderator: regular staff who have access to commands such as ?warn, ?mute, and ?ban. Junior Moderators may become Discord Moderators after a time at the discretion of Administrators. Junior Moderator: staff-in-training with the power to delete and pin messages, but they do not have access to bot commands that affect users. This role is given out, with administrative discretion, to members who meet certain qualifications. These roles are given to members who have elevated positions on the wiki, forums, or one of UESP's ESO Guilds. Wiki Admin: administrators on the wiki. Wiki Blocker: blockers on the wiki. Wiki Patroller: patrollers and userspace patrollers on the wiki. Translator-PT: administrators, blockers, and patrollers on the Portuguese UESP wiki. Forum Admin: administrators on the forums. Forum Moderator: global moderators and tea party mods on the forums. Guild Doyen: guildmasters of UESP's ESO Guilds. Guild Officer PC-NA / PC-EU / PS4-EU / XB1-NA: officers of UESP's ESO Guilds. Earthbones: an honorific title given to those members who joined the Discord server during its first few days of operation. Formerly called Founder. Sponsor: people who have donated to the server to help get perks like global emotes. By gaining XP and leveling up, you will earn ranks on the server. All members except staff are grouped according to rank; for example, the Novice category includes Neophytes and Associates. Details on how much experience is required to reach a certain level can be found here. Champion at level 80; we don't have any of these yet! If you are a member of one of the UESP's ESO Guilds, you can join the Discord group for that guild. Just type ?join followed by a space and then the name of the guild group you wish to be placed in; this can be PC-NA, PC-EU, PS4-EU, or XB1-NA. This allows access to the ESO_Chat voice channel, and you will receive alerts when announcements are made to Guild members. To leave a group, type ?leave followed by the same code. #general — For non-Elder Scrolls discussions. #rules — Outlines channel rules, as well as the server's roles, channels, and bots. #news — Various Public Service Announcements, UESP-related news, and updates for Legends and ESO. #live_feed — Feeds from official Elder Scrolls and UESP Twitter accounts, as well as authorized YouTube and Twitch channels. #wiki_discussion — For discussion about wiki pages and process. #wiki_templates — For discussion about templates and bots used on the wiki. #lore — For discussing Elder Scrolls lore. #tes_vi_discussions — Speculation about The Elder Scrolls VI. #pts_spoilers — For discussing the Public Test Server build of ESO. This channel's name may change based on the upcoming Chapter or DLC. #other_tes — Arena, Daggerfall, Battlespire, Redguard, TES Travels, and the two novels, The Infernal City and Lord of Souls. #art — For official or fan-made art related to the series. #bethesda_games — For discussing Bethesda's other games. #off_topic — For less TES-specific conversations. #bot_commands — Make use of the bots here. #knowledge_exchange — Ask and answer questions you have insight on. #apprentice_lounge — A channel reserved for the most active users. #forum_roleplays — For discussing UESP Forums roleplays. #community — An unabridged list of other TES servers. #staff_discussion — All staff discussion that does not involve an individual's privacy should go here. #server_feedback — For users to discuss what the staff are up to in #staff_discussion. General — Discussion of Elder Scrolls games and general topics. ESO_Chat — A voice channel primarily for UESP's ESO Guilds. Bots are automated programs which can perform special functions. Bot commands should be primarily posted in the #off_topic channel. Nocturnal is a Dyno™ bot which has extensive moderator commands and can also play music. To view a full list of commands this bot understands, type ?help. Formerly called Molag Bal, and Dyus of Mytheria before that. Peregrine-6 is a Mee6 bot named in honor of Atreus' bot Peregrine on the old IRC. It is in control of the chatroom XP and levels system, as well as dank memes. To view a full list of commands this bot understands, type !help. HotBotTed is a bot created by Harmon758 and named after the wiki's primary everything-bot, HotnBOThered. It has numerous miscellaneous commands for games, trivia, emotes, random number generation (including advanced dice rolls and playing cards), internet search, as well as other tools and resources. It can also post live updates from Twitch, Twitter and RSS feeds. To view a full list of commands this bot understands, type \help. Septapus is a bot which makes comics and charts, posts huge emotes, and sets reminders. To view a full list of commands this bot understands, type @Septapus help. The Tamriel Messenger is brought to you by Grogsile Inc. Its primary purpose on the UESP server is to directly link pages from the UESP wiki. Just type /wiki followed by the pagename (with prefix). For example: /wiki Skyrim:Whiterun. It also posts live updates from the ESO servers, and news from the ESO website. To find out more, type /about. M'aiq the Liar knows many commands others do not. He mainly lives in the #online channel, where he can tell you all about ESO news, current Pledges, and spout a number of his own quotes. To find out more, type !maiq. IRC, the chat client that Discord has replaced. 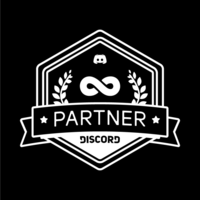 Discord Support, a helpful resource for more in-depth explanation on how to use the Discord client. Server Rules, with wiki-formatted and Discord-formatted versions. Change Log, all changes made to UESP Discord policies since 11th January 2018. This page was last modified on 6 March 2019, at 22:11.